Suzuki RM-Z250 And RM-Z450 launched in India: Suzuki has launched the RM-Z250 and RM-Z450 off-road motorcycles in the country. The Suzuki RM-Z series is a popular off-road motorcycle brand in the global markets. The Suzuki RM-Z250 is priced at Rs 7.1 lakh and the RM-Z450 carries a price tag of Rs 8.31 lakh. Both prices are ex-showroom (Delhi). The Suzuki RM-Z250 draws power from a 249cc liquid-cooled, single-cylinder, fuel-injected, DOHC engine. The bike is equipped with aluminium rims that are lightweight and specifically designed for motocross and off-road riding conditions. The kerb weight of the RM-Z250 stands at just 106kg. Powering the new Suzuki RM-Z450 is a 449cc liquid-cooled, single-cylinder, fuel-injected DOHC engine. The motorcycle also comes with Suzuki Holeshot Assist Control (S-HAC) with three riding modes. The Suzuki RM-Z450 is also the first motocross bike to get balance free rear cushion (BFRC) technology which is said to offer good traction and shock absorption for enhanced responsiveness on the dirt track. The Suzuki RM-Z450 is equipped with a 21-inch front wheel and 18-inch rear wheel. The motocross bike comes with upside down forks at the front and monoshock suspension at the rear. Braking duties are carried by discs at both the ends. The kerb weight of the RM-Z450 stands at 112kg. 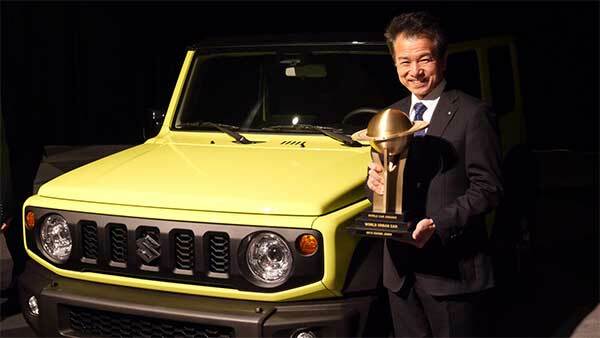 Managing Director of Suzuki Motorcycle India, Satoshi Uchida said, "Over the past few years, we have witnessed a great spur in the off-roading and adventurous riding experiences among Indian riders. Paying attention to this rising demand in the racing and adventure category, we are thrilled to launch these purpose-built motorcycles, RM-Z450 and RM-Z250." Suzuki has launched the new RM-Z250 and the RM-Z450 off-road bike in the Indian market. But both the bikes are not road-legal and cannot be ridden on public roads. The RM-Z series is a well-known brand around the globe and delivers exceptional performance in off-roading conditions.